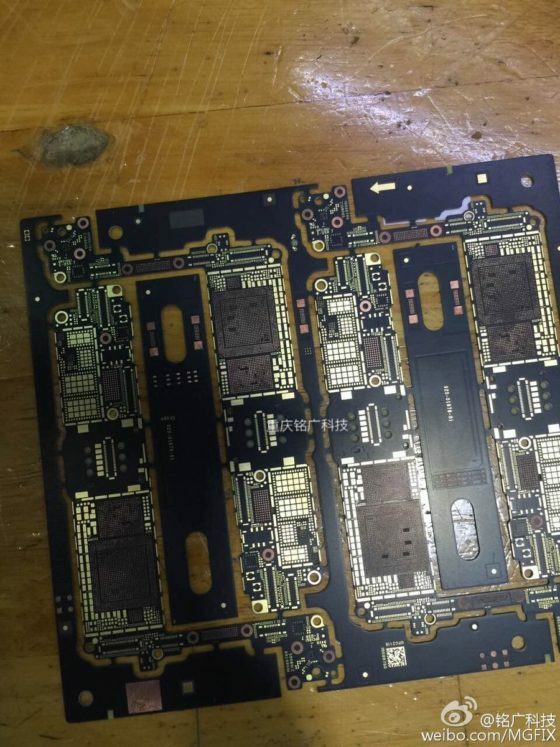 The leaked photos of the iPhone 7 PCB are already on the internet. 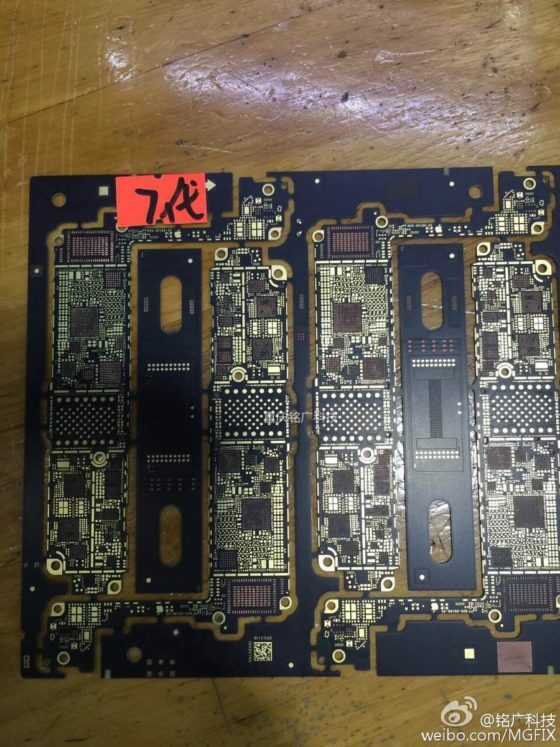 Serial leakster Steve Hemmerstoffer today tweeted four new PCB photos of the upcoming iPhone 7. 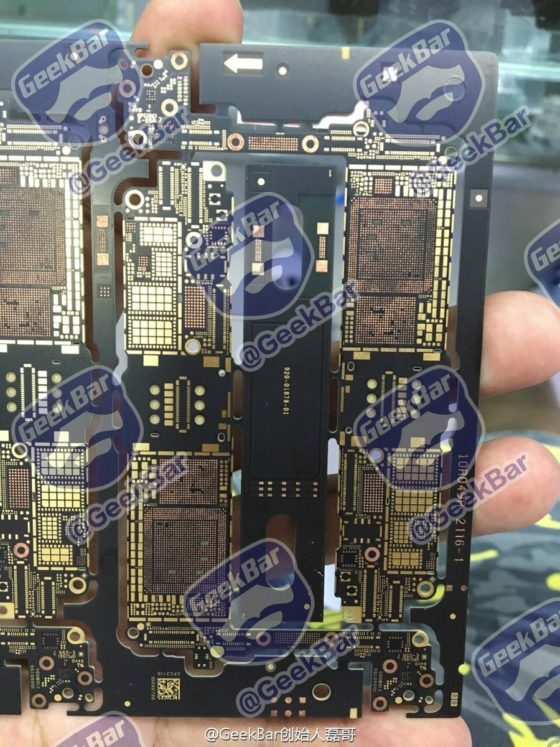 The images look strikingly similar to iPhone 6’s PCB at first. A closer look reveals that the screws used to fasten the housing vary and the overall appearance and the shape is slightly different. If rumors are to be believed, iPhone 7 will come with a new chip developed using Fan-out Wafer Level Packaging, popularly known as FoWLP. This technology is known to help phone manufacturers reduce the thickness of mobile devices by at least 0.3mm. With this technology, the efficiency will get a 30% boost. 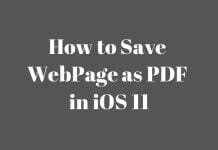 The iPhone 7 is rumored to sport a powerful A10 SoC. Apart from a significant RAM upgrade, the phone could also feature LTE modems from two different companies to support two carrier networks. For AT&T models, Intel modems will be used while for Verizon, Qualcomm modems will be sued. Rumors also claim that Apple is planning on a 3100mAh, onboard storage upgradable to 256 GB, larger version of the iPhone 7, although the timeline hasn’t been announced. 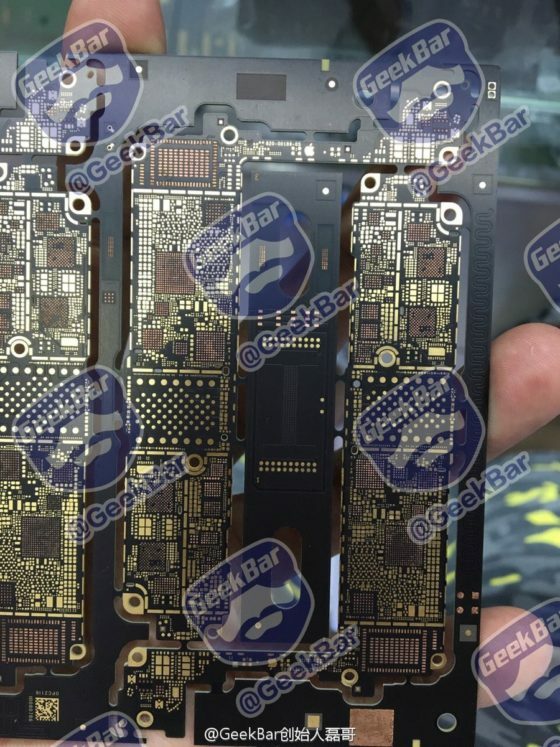 In addition to these leaks, leaked photos tipped to MobiPicker show the front side of iPhone 7. 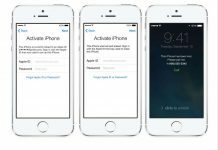 What’s surprising is that the upcoming iPhone may have a touch-sensitive home button. 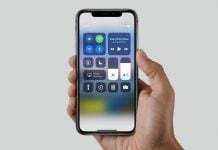 The button’s rumored to be perfectly in level with the rest of the bezel and will be touch-sensitive allowing users to perform tapping actions for various functions, like tap and hold for Siri, double tap to see running apps etc. 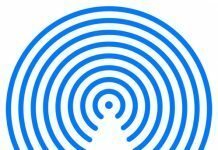 Even though these leaks are to be taken with a grain of salt, the probability of a touch-sensitive home button is high. 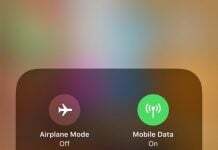 That’s because the home button wears out due to regular use and replacing it can be a costly affair as it also contains the Touch ID sensor. 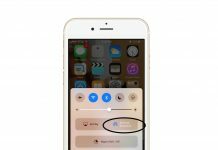 Having a touch-sensitive home button in the iPhone 7 will solve that problem.